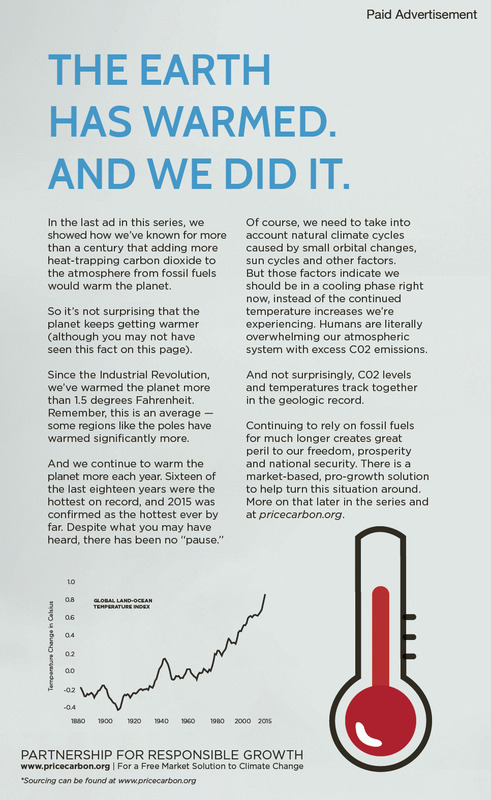 Climate ad series - shaping the national conversation. This past summer, the Partnership for Responsible Growth ran a series of ads to highlight bipartisan solutions to climate change. Our television ads feature leading Conservatives talking about the need to address human-caused climate change. 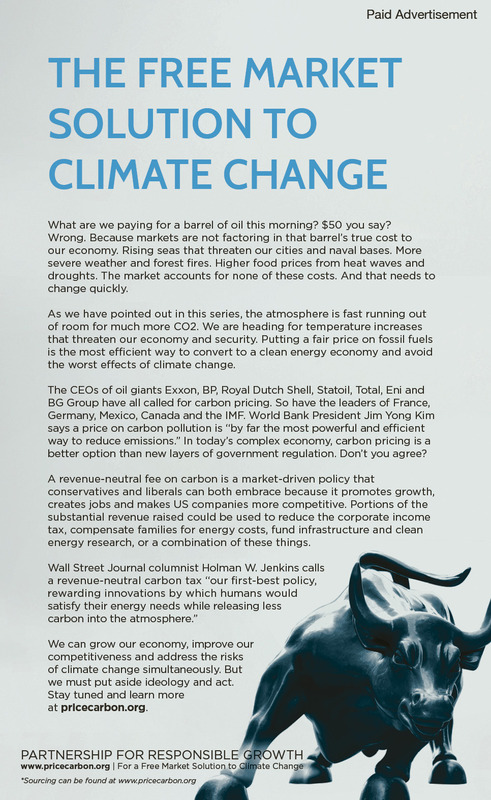 Our 12-part ad series in The Wall Street Journal brings accurate, mainstream climate science to readers of this publication’s opinion pages, and shows that pricing carbon is a bipartisan, market-based solution to the climate challenge that will increase economic growth and American competitiveness. Explore this page to view our ads and take action. Click each image of the ads from The Wall Street Journal to see the supporting evidence behind each one. Take action in support a pro-growth, free-market solution to climate change. You can also learn more about the Partnership for Responsible Growth and our Climate 2.0 approach. How The Wall Street Journal Opinion Section Presents Climate Change.